Welcome to 1677 Charlton Heights Road in the Heart of Moon Township. This pristine move-in ready home features open floor plan with engineered hardwood flooring, gas log fireplace with contemporary stairway. Ultra chic eat-in kitchen with handsome white cabinetry, granite, island. Three bedrooms with 1 & 1/2 baths with deluxe finishes. Covered side porch perfect for entertaining friends and family outdoors. Nice size yard. Integral car garage with large driveway. Basement could easily be finished as family room/gameroom. 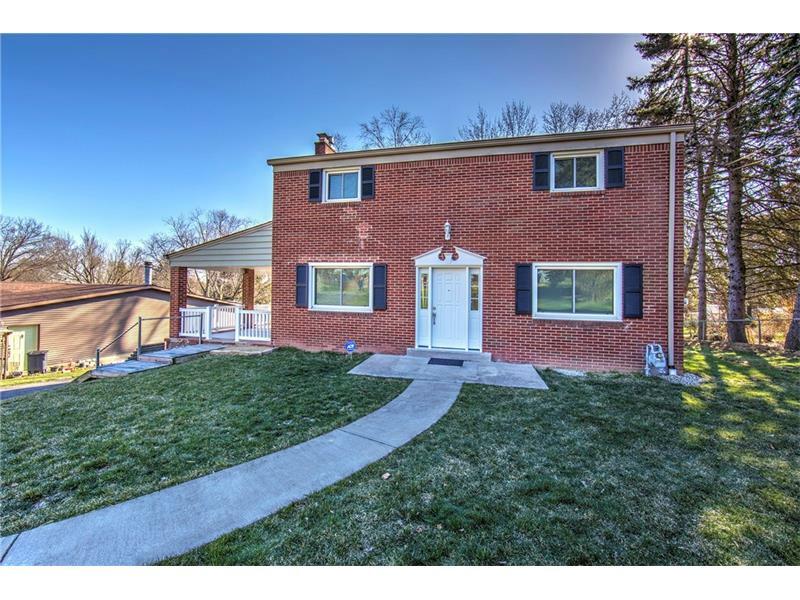 Close to shopping, restaurants, minutes to Pittsburgh International Airport; I-376; I-79. Walking neighborhood.